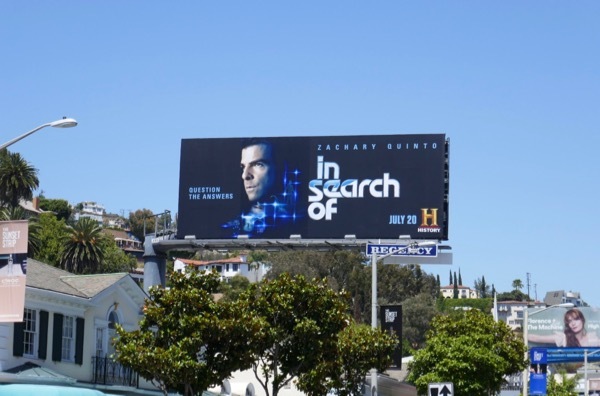 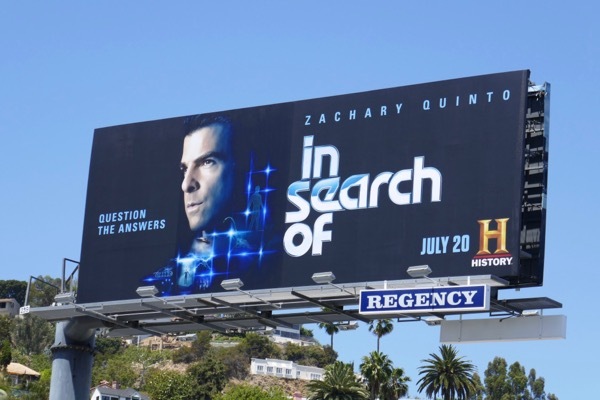 Inspired by the 1970s series of the same name, this summer Zachary Quinto goes In Search Of unexplained phenomena from all around the globe in his new History series. 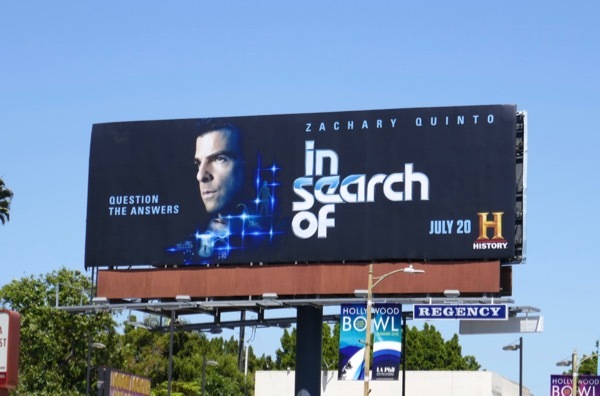 No stranger to sci-fi and the paranormal after starring as 'Spock' in J. J. Abrams rebooted Star Trek films and the murderous 'Sylar' in TV's Heroes, he'll be hosting episodes exploring such themes as extraterrestrial encountering, UFO sightings, strange creatures, artificial intelligence, time travel and more of the Earth's greatest mysteries. 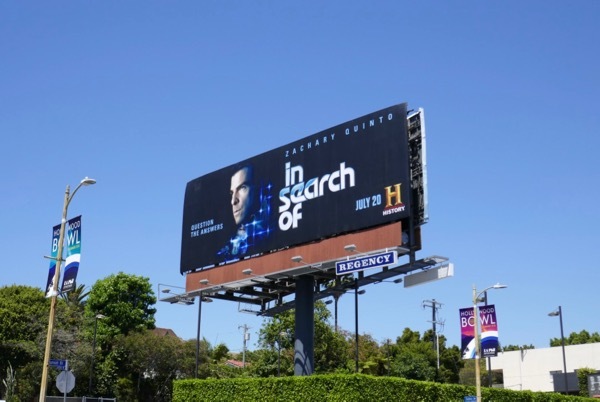 These striking series launch billboards were snapped in multiple ad locations along the Sunset Strip on July 2, plus spotted later above San Vicente Boulevard on July 14, 2018. 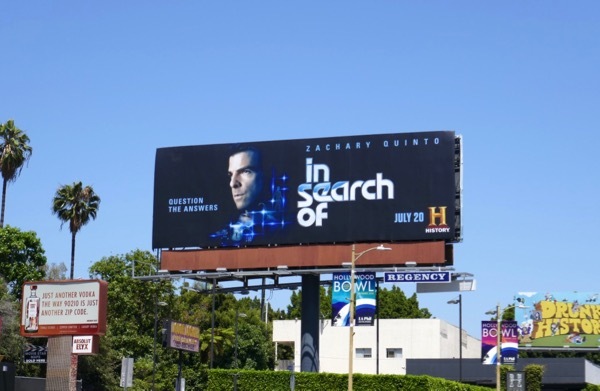 Fans of the actor can also enjoy these Star Trek: Beyond movie billboards and these TV billboards for The Slap. 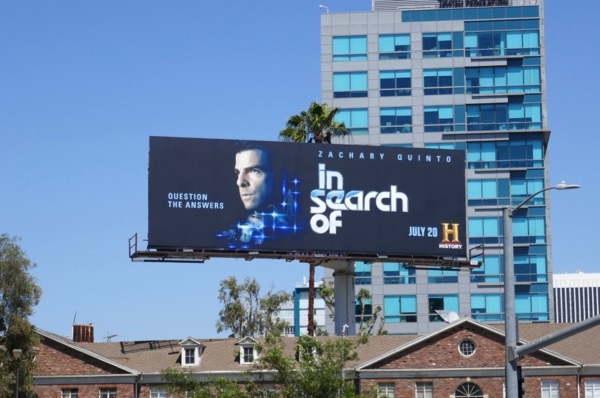 Let's hope with all the advancements in science and technology the series has something new to say after forty years since the show first aired.